iNUKE Series power amplifiers pack massive amounts of output power into exceptionally lightweight, rack-mountable packages. Our revolutionary high-density Class-D technology combined with ultra-efficient switch-mode power supplies ensures these feather-light powerhouses will drive your rig effortlessly for many years to come. Superb transient response. We spent years fine-tuning the high-density Class-D technology that gives the iNUKE Series its oomph. By carefully selecting transistors with extremely high slew rates and optimizing other proprietary parts of our circuitry, these amps react instantly to even the most demanding electronic bass impulses. 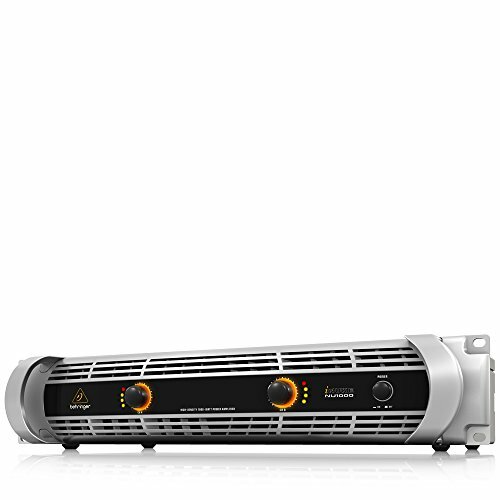 When this amazing amplifier technology is combined with our state-of-the-art switching-mode power supplies, these amplifiers provide tremendous punch. And because they are so much more efficient than conventional designs, they run cooler and don't require the massive heat sinks and heavy toroid transformers typically associated with their conventional counterparts. Sublimely simple operation The front panel controls and indicators provide your system's vital signs at a glance. After pressing the Power button, the Power LED lights to show the amp is ready for action. All channels feature positive-detent Gain controls with Signal LEDs that light when a signal is present, as well as clip LEDs to indicate when the signal is distorted and you need to reduce the input signal.